I can tell you never used ur-SeaMonkey on Microsoft Windows, waaaaay back when it was called Netscape Communicator (or even earlier, Netscape Navigator). Reinstalling absolutely would fix certain classes of problems (such as certain missing or damaged configuration files or registry entries). To this day you can find support articles explaining this magic on netscape.com. Certainly your decision but it seems odd to worry about what browser a web site THINKS you are using when changing the UA might solve current issues. DanRaisch wrote: Certainly your decision but it seems odd to worry about what browser a web site THINKS you are using when changing the UA might solve current issues. 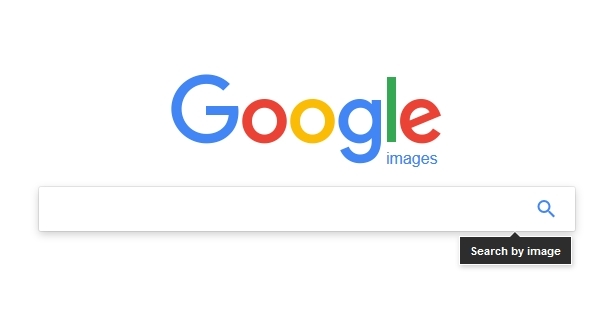 I don't have any problems with websites at this moment and I remind you about quite annoying Google search cursor issue which was fixed in that way. Anonymosity wrote: I go to google.ca, since I am in Canada. Does that make a difference? At least it seems to be hitting different countries at different times. I just sent the following message using the "Send feedback" form at the bottom of the search results page. Of course, I may or may not get an answer, and they may or may not fix the problem, but as I said before, every time I've made a similar report, I've at least gotten a reply that indicated they understood the problem I was describing and its cause. Possibly it will help if others also report the problem. 1. The cursor appears too high in the search input box. 2. When typing a query, only the first 20 or so characters appear. After that, the query text jumps around the input box wildly, or starts scrolling horizontally. 3. Autocomplete entries are no longer arranged in a vertical list, but rather appear horizontally with huge spacing. The problem can be worked around by making SeaMonkey impersonate its sister browser, Firefox, by spoofing its User-Agent string. However, it would be nice if you fixed the underlying problem with your website so that users wouldn't have to do this. Further details are available at <http://forums.mozillazine.org/viewtopic.php?f=40&t=3040658>. I'll post back here if I get a response. > I'll post back here if I get a response. I reassigned the bugzilla bug. Will probably go nowhere. Mozilla is centered around itself these days and doesn't care about users and other products any longer. rainyd wrote: I have had similar issue with SM 2.49.4 under Windows 7 Pro SP1 64-bit and solution was rather easy: I've disabled Firefox compatibility in HTTP Networking (Advanced settings). That's the sort of short-sighted advice that one of my cats would give - bask in the 'rather easy' solution and then run off when people started reporting that their banks were not allowing logging in, as SeaMonkey is showing as an unsupported browser. The Firefox compatibility setting is there for a reason. If you don't know the reason then leave it alone. As for this 600 page thread on a 30 second fix for Google (which only affects Google) > about:config > new string> override stuff > use whatever UA string works for you (I used Firefox 60) > move on and stop wasting time here. I've had just the same issue on my SeaMonkey 2.49.4, but everything fixed following TPR75 instructions. markinson wrote: I've had just the same issue on my SeaMonkey 2.49.4, but everything fixed following TPR75 instructions. Don't be so quick looking for your one-size-fits-all magic bullet fix. When I used a Trident UA string for this, it corrected the input box but the first 4 search results would not click properly. So...experiment. See how I managed to reply without needing to quote someone else's 1,000+ worder? Frank Lion wrote: As for this 600 page thread on a 30 second fix for Google (which only affects Google) > about:config > new string> override stuff > use whatever UA string works for you (I used Firefox 60) > move on and stop wasting time here. This doesn't scale well. I have to make the same change on many user accounts on many machines, and I have to remember to make it whenever a new machine or user account is set up. And of course, every other SeaMonkey user needs to experience the problem, look for the solution, and make the same change. In the long run and the big picture, it will save everyone time and grief if Google can be persuaded to fix the problem on their end. The same (temporary?) solution for Google search bar (I mean: "general.useragent.site_specific_overrides") is usable for Yahoo Mail, otherwise it's no possible to login into Yahoo account by SeaMonkey (my current SeaMonkey version is 2.49.4). 2) How do you log into yahoo Mail with Seamonkey?. I lived with the problem for months and finally found the solution entered below and it worked!!! Thanks to whoever gave the detailed solution. Thank god for this post. One less annoyance I have to live with. Additionally when you open satellite view of google maps it doesn't show the 3d option. I've already applied the workaround for Yahoo, I can do the same for google but if this kind of thing continues I'm afraid many people will be switching to another browser instead of scouting the internet for solutions how to trick websites they're using a modern browser. Last edited by .blah. on January 24th, 2019, 3:05 pm, edited 1 time in total. Github works fine for me, without touching anything. When you are actually using SeaMonkey, instead of the Waterfox browser that you are posting here with, are you using the 'Advertise Firefox' in the Options/advanced section? I'm afraid many people will be switching to another browser instead of scouting the internet for solutions how to trick websites they're using a modern browser. You are not the World's Mother, don't worry about it. It's not your concern.